Kurai Ondrum Illa is a popluar Tamizh devotional song composed by Rajagopalachari (popularly called Rajaji), a freedom-fighter, the last Governor-General of India and a man referred to as the keeper of my conscience by Gandhi. For such a man of intellect, this song is a song of surrender, an offering of pure devotion. Gopalakrishna Gandhi also points out that Rajaji had his share of heavy sorrows to bear in life. He lost his wife early and then had to witness the passing of his son and his two sons-in-law. And yet such a man authored the song “No regrets have I”. 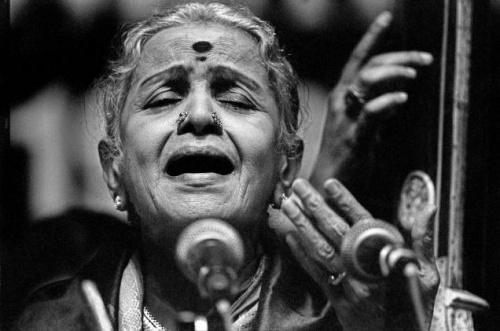 But perhaps, most fascinatingly, Gopalakrishna Gandhi suggests that this song had an unknown collaborator in the form of a Harijan who was arrested for breaking the law of that time (in 1925) and entering the Tiruchanoor temple. Although in the year 1925, the Congress had rallied its satyagrahis to engage in civil disobedience and boycott the courts of the Raj, when Rajaji was asked to help in the defense of this man, he agreed readily and argued his conviction successfully. Gopalakrishna Gandhi says, “When the Mahatma learnt of the episode his reaction was as quick as it was clear: ‘(Rajaji) would have been like a Pharisee if he had sat there still, gloating over the sanctimonious satisfaction of non-cooperating, while the accused could have been discharged by his intervention’.” This incident clearly seemed to have inspired Rajaji’s pen as he composed ‘Kurai ondrum illai’. But no, no regrets have I. Can I possibly have regrets? Kurai ōndrum illai, Maraimūrthi kanna! kurai ōnrum illai maraimūrttik kanna. enralum kurai onrum enakku illai kanna. kurai onrum illai, Maraimūrthi kanna! Manivannā! Malaiyappā! Gōvinda! Gōvinda! Govinda!Govinda!